Welcome to the Final 4 6 Championship for both brackets. The deadline to submit your votes is until Wed, Nov 7th. Let the next round of madness begin. Only actor/actress I don't like is Streep. Going to be a tough choice. Will need to think on this a while. As she turns her back on you. Same here, the actors bracket is going to be a hard decision for me. My actresses choise will either be Streep or Field. With 7 votes in, I'll probably post the results later tonight or Wednesday morning. Thank you everybody for voting. Here are the final results for the Final 6. 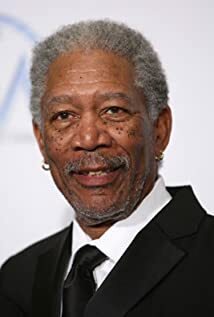 The winner from the Actors Bracket is Morgan Freeman. The winner of the Actresses Bracket is Meryl Streep. To find out who is the utimate champion of actors and actresses. The deadline will be once all the votes are in or by Friday night. I like Morgan's movies better, but I think she's a better actor. Morgan Freeman for the ultimate. Quoting my original top 5 actors and actresses, I have Morgan and Meryl listed. In no particular order these are my top 5 actors/actresses. I almost agree, Morgan is a fantastic actor and plays god well. But I like Meryl movies more and I do agree she is a better actresses. The only actor that would get my vote over Streep would be Tom Hanks. So far 5 votes are in and a reminder tomorrow night is the deadline.